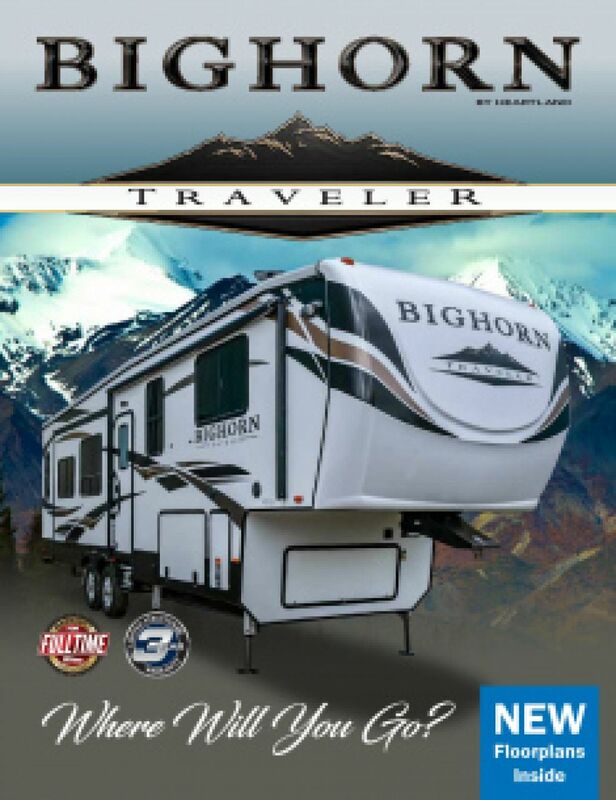 Here at TerryTown RV in beautiful Grand Rapids, Michigan, you'll save thousands on the 2020 Heartland Bighorn Traveler 32CK 5th Wheel! That's because we've been selling top brand, new and used RVs at wholesale prices for decades! We're located at 7145 Division Ave S Grand Rapids Michigan 49548! Come in and talk to one of our friendly, knowledgeable staff and you'll be in your dream RV in no time at a price you won't believe! And even if you don't live in the Grand Rapids area, just give us a call at 616-455-5590 and with our fast, reliable worldwide shipping, this Heartland Bighorn Traveler 32CK will be at your door in no time! This super 5th Wheel is built to tow and go! It's 37' 11" long, 8' 0" wide, with a hitch weight of 2345 lbs. and GVWR of 16000 lbs! The 3 flush mount slides and flush mount 17' 0" patio awning reduce wind drag on the road. With the 3 slides, this 37' 11" long, 8' 0" wide, and 13' 3" high 5th Wheel offers enough space for everyone! The trailer is kept temperature controlled despite how erratic the weather may be outside, thanks to the handy 35000 BTU furnace and the reliable 15000 BTU a/c unit. The master bedroom features an extra snug King bed! 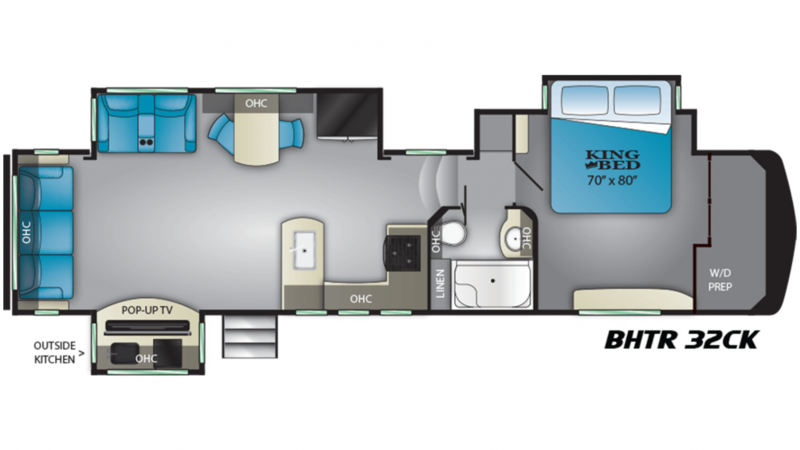 Your family will find enough comfy furniture in this RV to sleep 4 people! Before you leave for the trip, fill up and enjoy clean water on your trip with the 65 gallon freshwater tank. Cook up family dinners no matter where your tribe travels with the kitchen's 3 burner range cooktop! The 14.90 cu. ft. refrigerator can store all of your fresh produce and drinks and keep them properly cool throughout the trip! Take long, hot showers thanks to this model's 60 lbs. of LP tank capacity! The bathroom has a Porcelain Foot Flush toilet. The 90 gallon gray water tank and 45 gallon black water tank provide somewhere for the used water and waste to go without you having to see it!